IFA aspire to be our customer’s supplier of choice for high integrity forged products to worldwide premium quality markets. We have created a fully integrated metals service centre which has grown to be a leading provider of open-die quality forgings, making safety critical components to demanding global industries such as Aerospace, Oil and Gas, Power and Nuclear industries. IFA pride ourselves as a forging manufacturer continuing a proven heritage of over 100 years experience in Open-Die forging on our existing site. Our specialist manufacturing capabilities extend across a range of equipment which includes; fast acting hydraulic presses, forging hammers, ring-rolling mills and GFM radial forging technology. We can manufacture seamless forged rings,blanks, boss/double boss blanks, shafts, also GFM precision bars (round/square/rectangular) to meet the highest standards in the industry. Our forging is complimented by NADCAP approved heat-treatment facilities and a Machine shop which can supply nett shape semi-finished products into our customers. IFA also offer our manufacturing resource as a fast turnaround service centre for other metals service companies to use as a hirework/toll forge resource. Our hirework service includes forging, heat treatment, machining and cutting, NDT and inspection. IFA has gained a reputation for our forging competence and prowess in open-die forging and we recognise that our quality systems are the cornerstone to maintaining our customer’s confidence with us. As such we have AS 9100 Aerospace Standard, ISO 9001, OHSAS 18001 and ISO 14001. We are proud of the range or customer quality approvals we hold across the world’s leading industries. We are proudly Independent – in these days of global consolidation and restricted options for customers. IFA prides itself on our flexibility in the market, and our openness to accommodate customer ideas and challenges which drive our business. Our flat organisational structure means customers have access to directors and decisions are made quickly. Our heritage goes back over two and a quarter centuries, the company is actively building on its tradition of technical excellence, innovation and flexibility. 2014 Traditional processes sit side by side with the latest in forging technology. 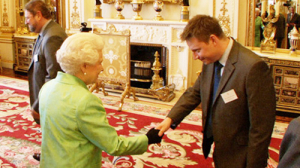 In 2008 IFA were awarded the Queens Award for Enterprise: International Trade. Copyright 2017 © Independent Forgings and Alloys Ltd.